We are located in the heart of Jumeirah Lakes Towers. Highly qualified and trained therapists cater for all your beauty needs and the quality of the beauty salon services they offer from facial treatments, waxing, eyelash tinting, eyebrow shaping and tinting, manicure and pedicure is nothing short of exceptional. Specialising in Nail, Hair and Beauty. 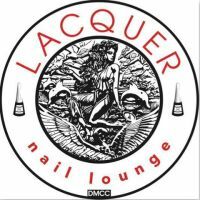 Lacquer Nail Lounge maintains only the most premium services that the beauty salon industry has to offer. We also provide a range of maintenance services such as leg waxing, eyebrow waxing, bikini and Brazilian waxing, eyebrow shaping, eyebrow and eyelash tinting! Whether you're simply ducking out for a quick eye-brow wax or having a pure day spa experience of luxury, Lacquer Nail Lounge will cater to your every need and make you feel special every time. So come in to our beauty salon or call to make an appointment at your convenience, and be sure to ask about our monthly beauty specials.